One of the most important parts of your treatment begins after your treatment is finished, and that is the retention phase. 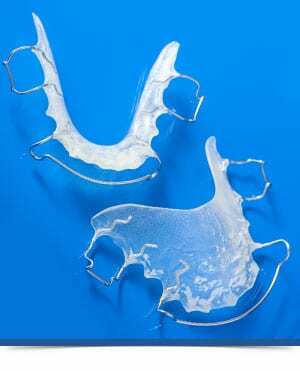 Once a patient completes their orthodontic treatment, they are given retainers. We recommend that patients wear their retainers full time (with the exception of eating and brushing their teeth) for the first few months following treatment. After that time, it is recommended that retainers be worn only at night indefinitely. Retainers are appliances made from a mold of your teeth designed to maintain the alignment of your teeth and your bite following orthodontic treatment. There are several different types of retainers, including clear Invisalign® type retainers and Hawley retainers that have acrylic and a metal wire. Why isn’t my retainer fitting anymore? There are usually two reasons why retainers stop fitting. The first is due to the retainer itself being broken or distorted. This can occur if the retainer isn’t properly stored in its case. Also, extreme temperatures such as placing in dishwasher, leaving in a hot car, or soaking in hot water can cause the retainers to warp. The other more common reason why retainers stop fitting is due to the teeth shifting. This usually occurs when a patient is not wearing the retainers per the recommendation of the orthodontist. What do I do if my teeth have shifted? Depending on the amount the teeth have shifted, there are a few things that can be done. If the movement is minor, often we can adjust the retainer and get it to fit again. If the amount of movement does not allow the old retainer to fit, we can make a special type of retainer called a spring retainer or spring aligner. This retainer is designed to move the teeth back into the proper position. Finally, if the amount of shifting of the teeth or bite is too much to be corrected by a new retainer, the patient may need to get orthodontic treatment again. This can vary from a few months of braces or Invisalign®, all the way up to a full treatment, depending on how much correction is needed.